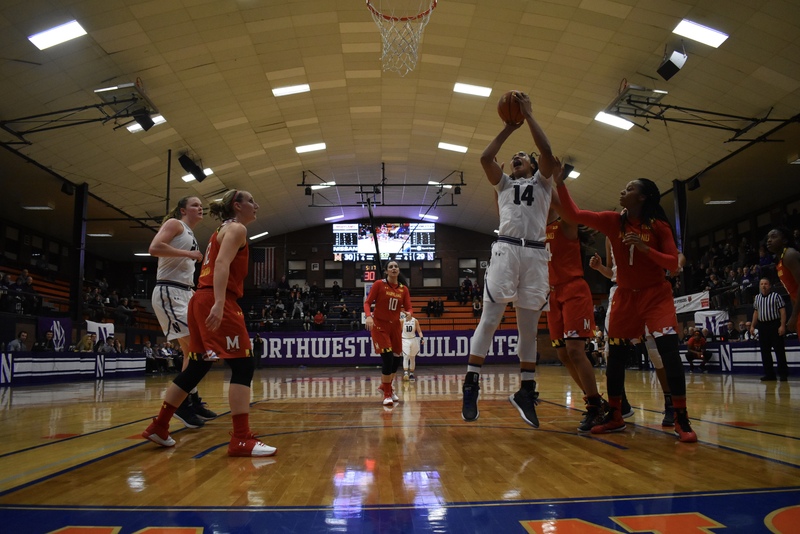 Northwestern's Women's Basketball team competed against the University of Maryland Terrapins at Evanston Township High School's Beardsley Gym tonight. 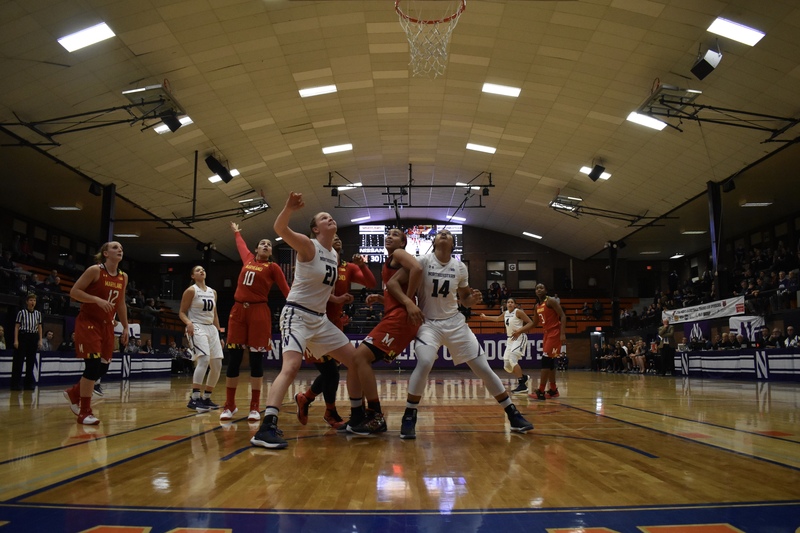 Although closer than Allstate Arena, the University is offering free shuttles to every home game. 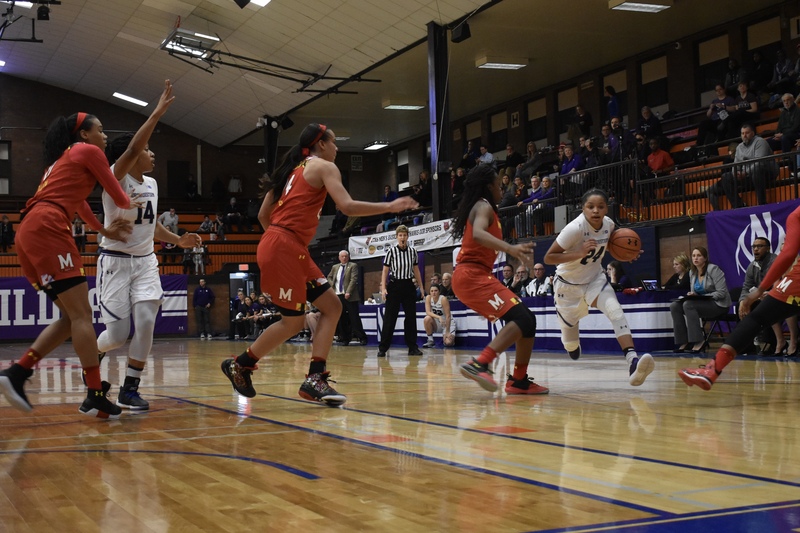 The Wildcats lost a close battle with the Terrapins (68-65). 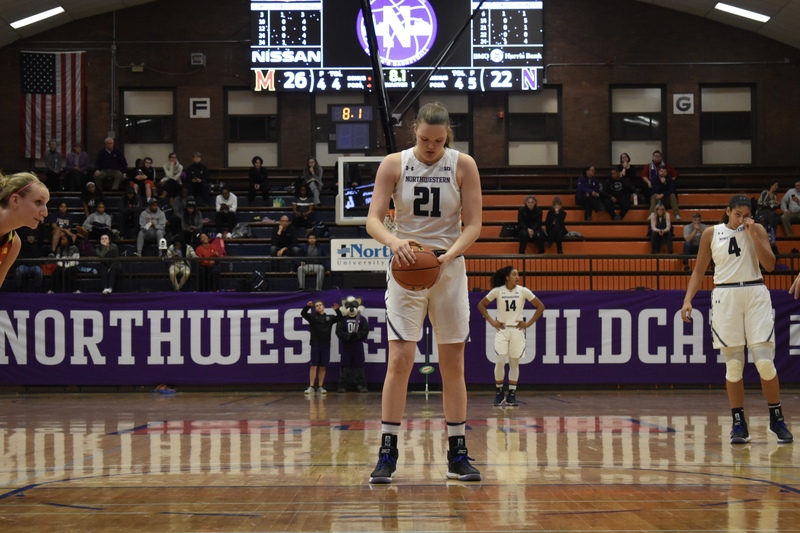 NU also advertised this game as a Star Wars night, but there was very little student participation in the theme.